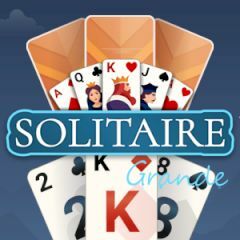 Have you ever played solitaire before? Well, it is hard to find a person who doesn't know thins game. It was popular before, but people still play it as it still actual. Just place cards on top of each other, switching suits and trying to gather all four card decks. Hurry up and spend as less time as possible to acquire more points. Get daily bonus and have fun.